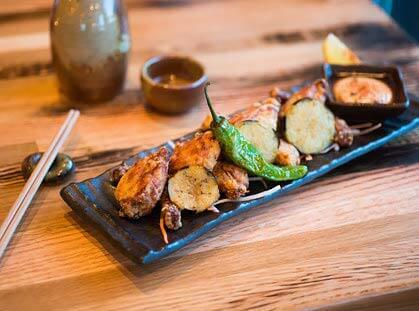 An Izakaya is best described as a Japanese restaurant serving tapas-style food meant to be shared among friends. It is a casual after-work drinking place where people relax and enjoy good food and drink. We bring an authentic Izakaya experience to Denver’s Low Highlands area. We are home of the largest collection of Japanese Whisky and Sake. Our bar transitions to a late night program, Bar Ginza, led by some of Colorado’s best bartenders. To complement our drinks is an expansive kitchen menu of Japanese dishes, ramen, and sushi. Our sushi is sourced directly from Japan’s fish market and virtually handpicked by our owner. 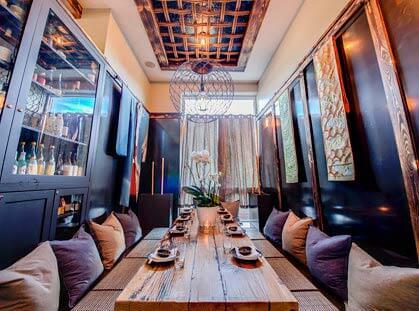 With a unique mix of Japanese-inspired architecture and contemporary décor, we create a unique dining experience. Choose our Omasake room to experience a unique culinary journey created by our chef. Omasake literal meaning “I’ll leave it up to you,” allows you to surrender your palette to the expertise of our chef, creating an extraordinary experience of our Japanese dishes, sushi, and sometimes spontaneous artistic meal. Yes, Mizu offers sushi, but that's not the focal point of the menu. Instead, think Japanese tapas and order from the binchotan menu — skewers and other small bites cooked over oak charcoal at high heat. Black cod, pork belly and marinated eel are a good start; then try something fried, like frog-leg karaage or whole quail doused in guajillo teriyaki. There's so much to choose from you'll need several trips to sample your way through, with sake, Colorado craft beers or food-friendly house cocktails to wash it all down. Don't say cheers, say kanpai! The best meals are those enjoyed among friends, and this seven-month-old LoHi Japanese gastropub ensures your entire posse will be satisfied. 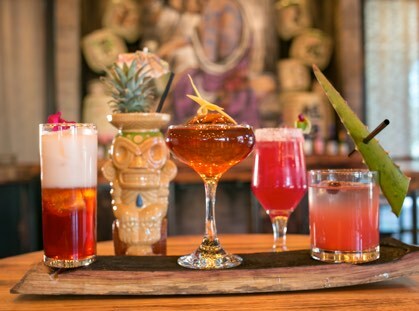 There are more than 70 bottles of thoughtfully selected sakes to pick from and also 12 cocktails bound to entice—especially the Happy Death, made with gin, passion fruit, lemon juice, Cointreau, and egg white. ... But the best thing about bringing a crowd to this hip Japanese tavern? You get to sample everything. 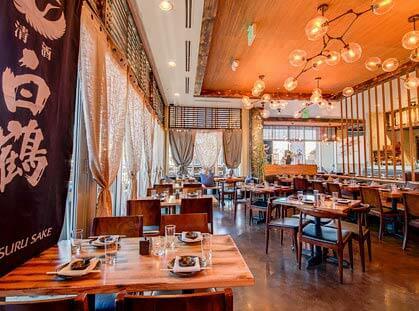 "Great spot for sushi, ramen and drinks. They just came out with a new menu and mmm is it tasty. The addition of ramen bowls is fantastic!!! The atmosphere is very chill, dark and cozy." Glad I tried this restaurant. I ordered the Japanese sour drink. Special of the day. Absolutely excellent. You should've seen the bartender make the drink truly an artist at work. This is a high level establishment. We came in as a walk in. The service was superb. We sat at the bar for the omakase. I would suggest the nigiri omakase and the miso black cod. One of the best sushi experiences I've had in a very long time. The sushi chefs are very attentive and want to make sure your experience is outstanding.